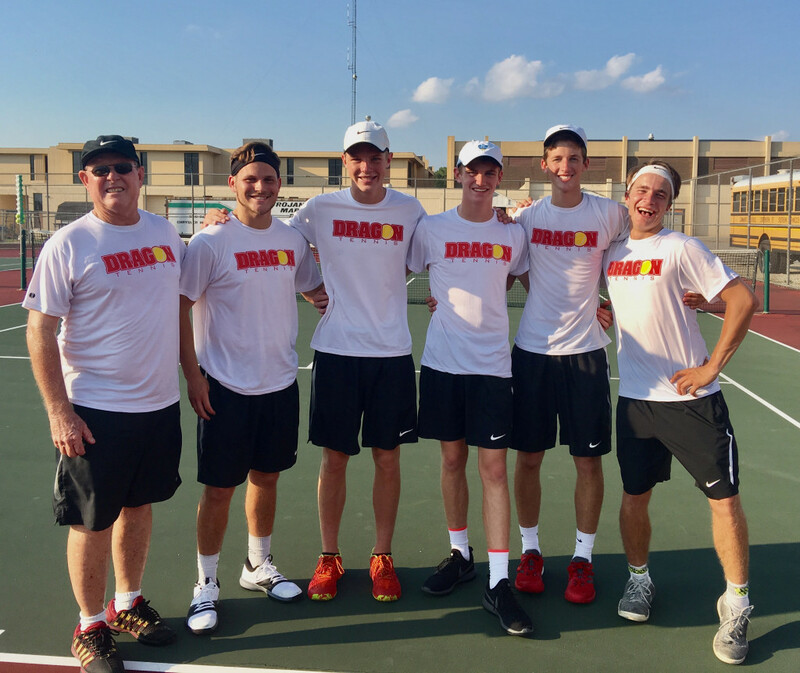 The Dragons varsity tennis team swept the New Castle Trojans 5-0 in a crucial match to clinch the Hoosier Heritage Conference title. The Dragons went 7-0 in the HHC, winning the title with a 33-2 individual match record against conference foes. 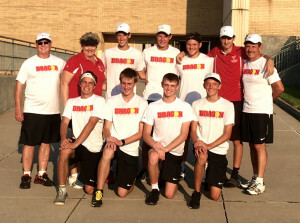 The Dragons won their third HHC title in school history, and the first since 2009. NP’s No. 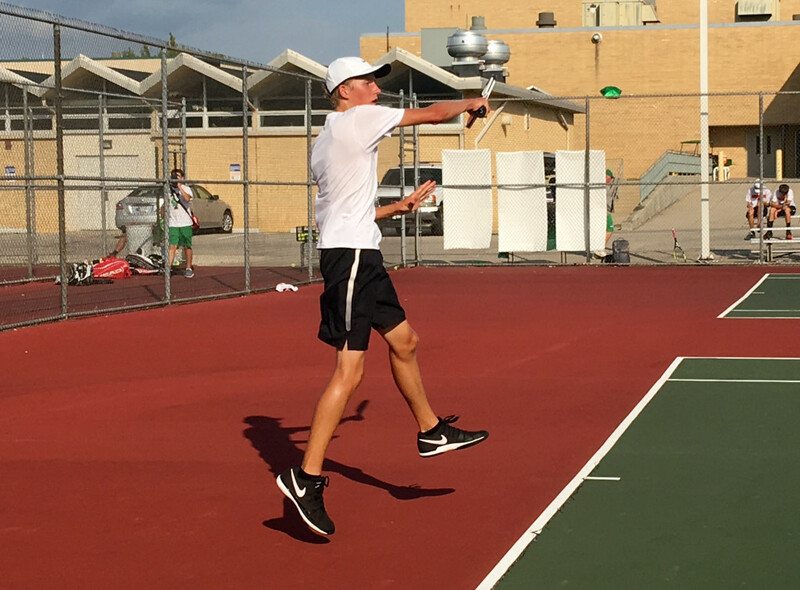 1 singles player Matthew True easily beat Trojan senior William Thurlow 6-1, 6-0. 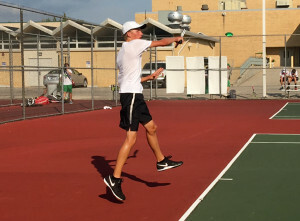 The dedicated True has had an outstanding season with a 15-4 singles record. Playing at No. 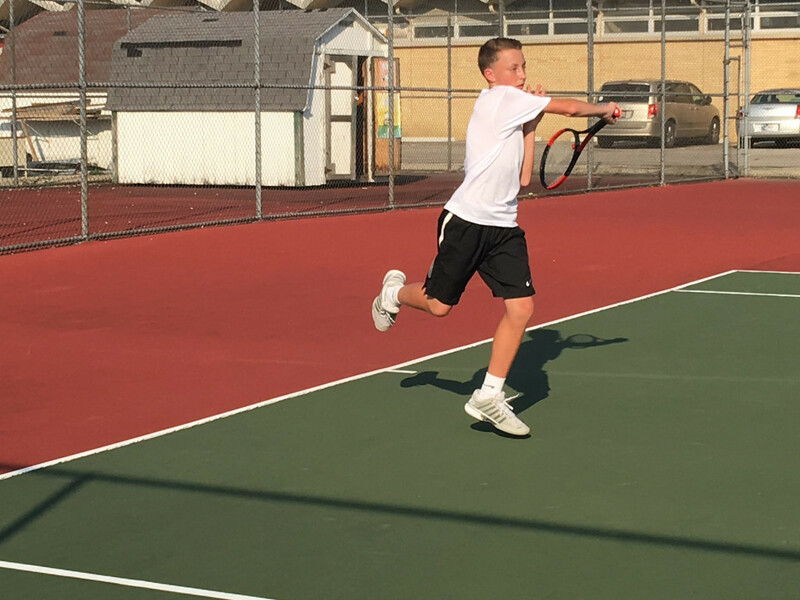 2, singles Ben Blachly has been the Dragons most improved player, with his mental toughness a great asset throughout the season. He defeated New Castle’s big serving junior Rylan Huntley 6-2, 6-4. At No. 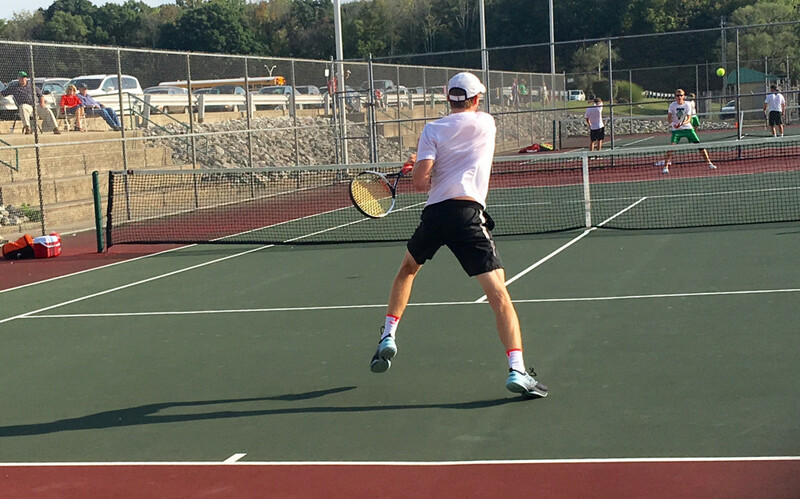 3 singles for NP, junior Carson Gavin, fought through a tough 1st set to beat NC senior Grant Guffey 6-2, 6-2. 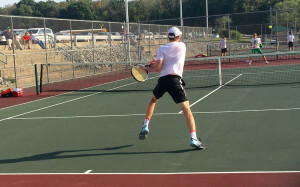 The steady Gavin placed the ball well, targeting his opponents backhand, and this tactic gave the Dragon the advantage. The NP No. 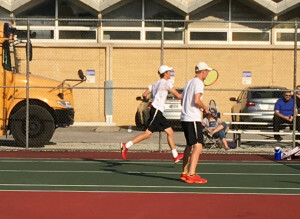 1 doubles combination of seniors Nick Rusche and Colby Wagoner played an aggressive style of doubles to control the match against NC juniors Blake Webb and Andrew Martin, cruising to a 6-0, 6-1 victory. Senior David Hockett and junior Dane Reid played at No. 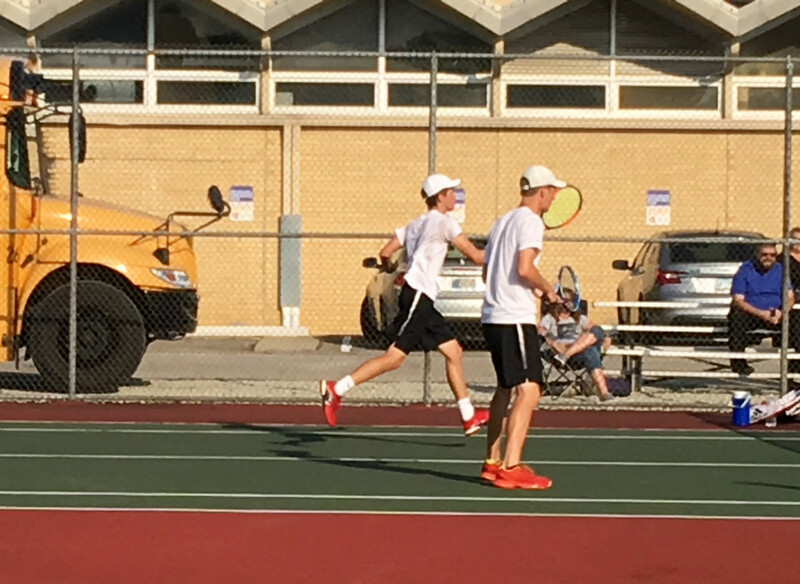 2 doubles for NP against Trojans Jonathan Personette and Brandon Cook. 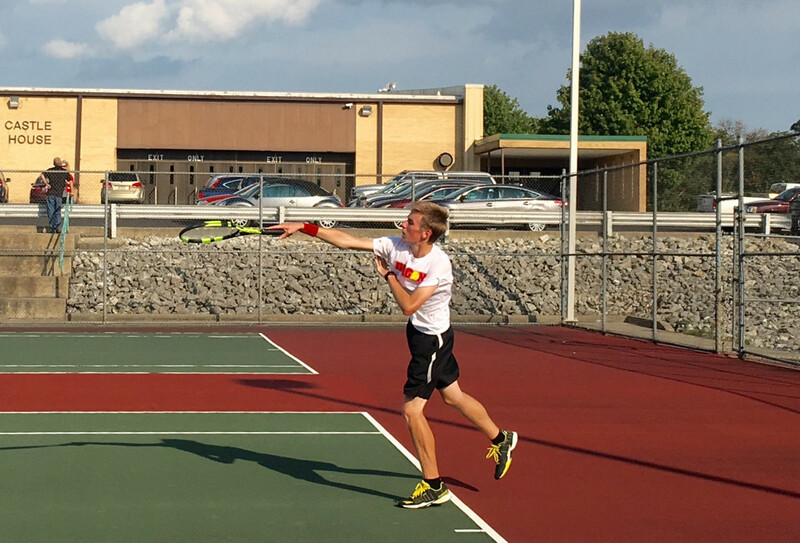 The Dragons pairing attacked the net on a regular basis and dominated play – going on to win comfortably 6-0, 6-2. 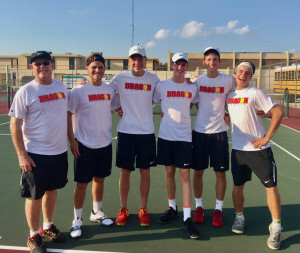 The Dragons varsity team moved to 15-4 for the season. The Dragons JV team won 3-0 with Ethan Haeberle winning at singles and seniors Nathan Hubbard / Nico Martin and Jeremy Wagoner / Josh Smith winning the doubles matches. The JV team extended its record to 14-2 for the season. NP entertains Chatard on at 4:30 p.m. Thursday on Senior Day.